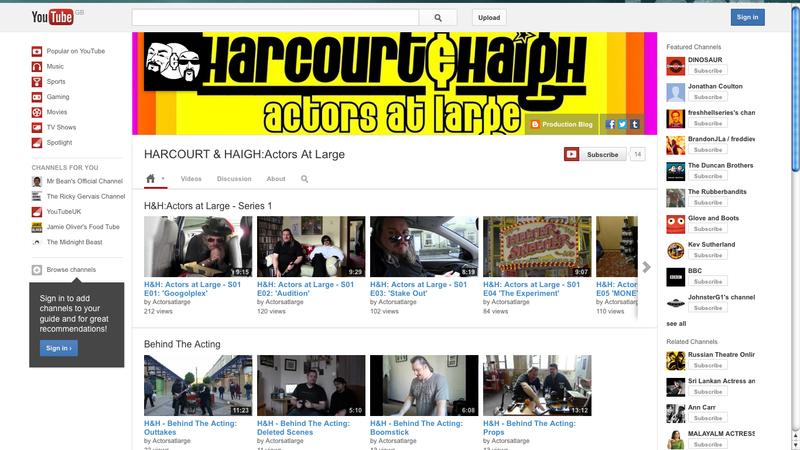 Harcourt & Haigh Actors At Large: One Vision! Yes, Acting Fans, it's true! The H&H Production team has at last managed to swim the tides of time and actually get ourselves together for a meeting! At last, after our unintended hiatus, we are taking our first tentative steps (still keeping our eyes out for job- and life-type obstacles) towards getting the whole production into an upward swing. Yesterday Vern and I managed to get together in the afternoon for a chinwag, having a bit of back and forth on how we should proceed with the shooting schedule. We'd both prefer to start as soon as possible with a view to getting episode 6 finished before the Summer and before Vern starts his new job proper. Then, with that out of the way, we can look at getting some short skits put together which will play out until we have Series 2 bashed out and ready to get going. Yes, I'm afraid we don't plan on stopping. Another thing that came up at the meeting was that both of us had noticed that the enforced change over from old school Youtube to the new 'One Channel' format was 7 days away. Now we didn't have any issues with the old layout, in fact we were both pretty chuffed with it in the end, but as Vern put it we can only be so Retro being the analogue age boys we are, so we'd really hung on to the old fella as long as we could and ought to make the effort to get it done before it was thrust upon us. That was my task yesterday which would have been a darn sight easier if, instead of scouring the 'net to find a resizer that would make our banner image the correct (and frankly MAHOOOSIVE) size of 2120 x 1192. Yep, all that hunting around - when I had a perfectly good freeware photo manipulation app right on my Mac (Gimp, in case you were wondering), staring right at me from the Dock at the bottom of my desktop too! D'oh, did i feel like a Gimp? Yes, yes I did. 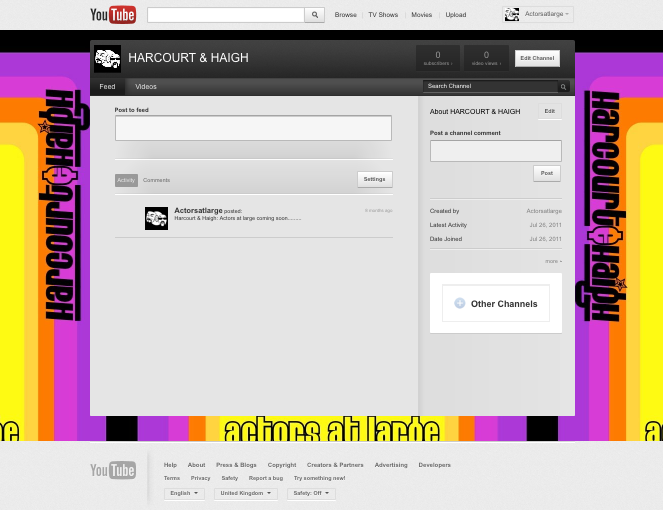 Anyhow, I got it done so now you can gaze lovingly upon our new look, BEHOLD! Especially on the TV format. Mmm, nice! With that business out of the way, that's it for this week, Internet Chums, feel free to peruse a video or two on our new look channel to tide yourselves over until Episode 6. A fresh look for a new start, you might say. See you on the other side of the weekend!